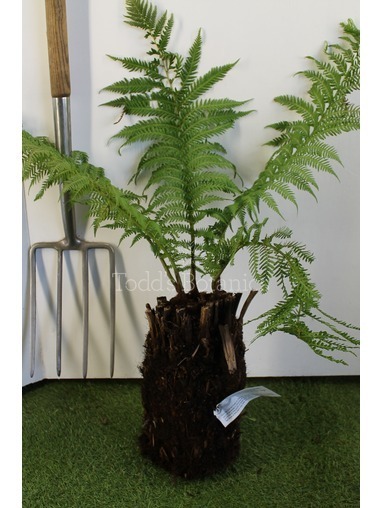 2 foot Dicksonia antarctica. 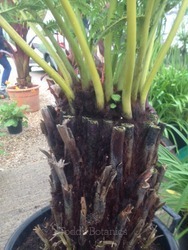 Our fantastic quality tree ferns are brought in from Victoria, Australia. 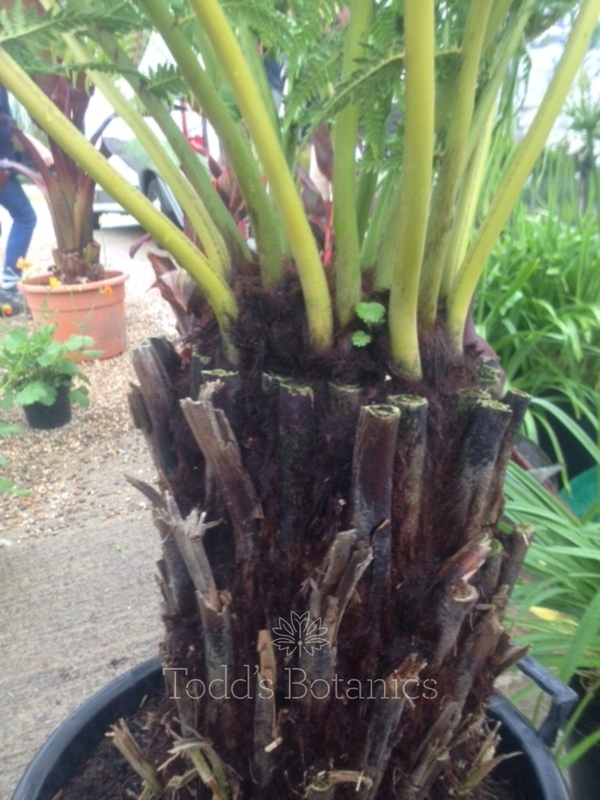 We can dispatch tree ferns all year round on a next working day delivery service. 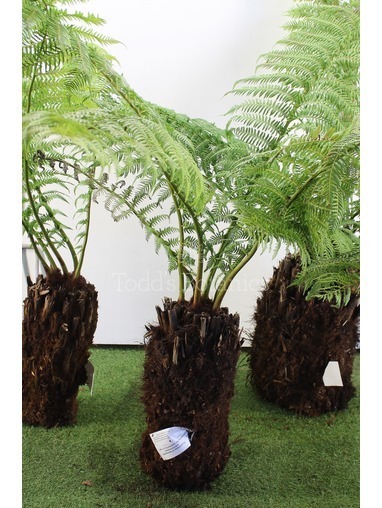 All our tree ferns are brought in under license which is strictly controlled to make sure the future of tree fern harvesting is sustainable. 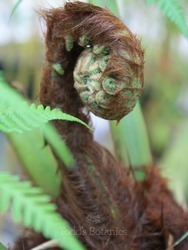 Tree ferns produce wonderful green fronds (leaves) directly from the crown of the plant. They burst out of the top of the trunk in late spring and will then stay green until the frosts cut them down. In milder winters the tree ferns will keep their fronds and then produce another set the following spring, making them look even more lush and dramatic. 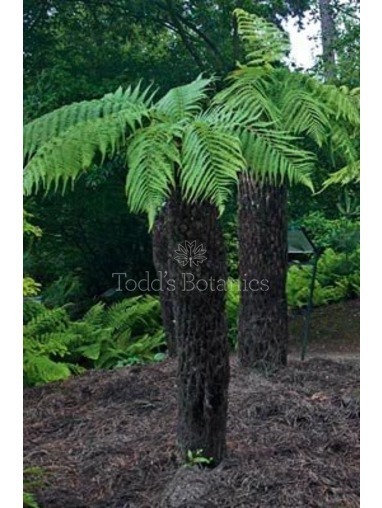 Tree ferns are mainly found in the southern hemisphere but do grow quite happily here in the UK. 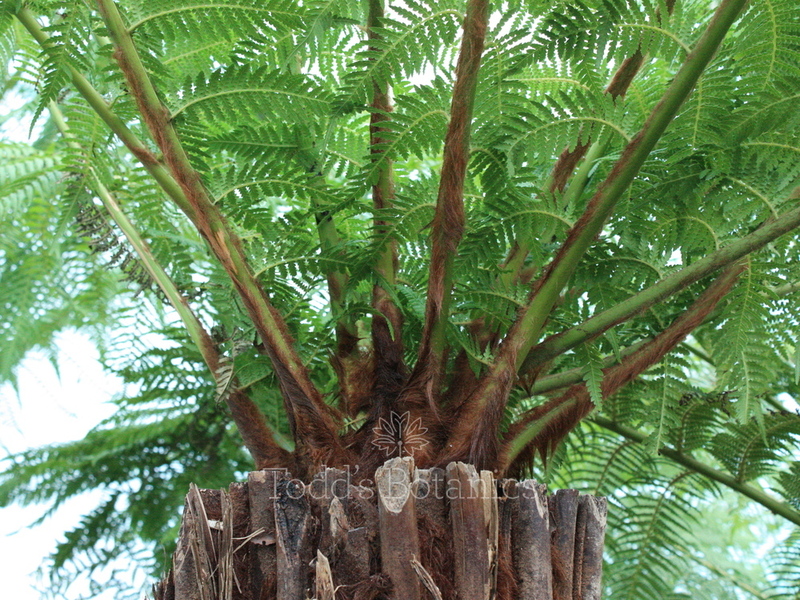 If we have a particulary nasty winter there are very easy ways to protect your tree fern. To see a pictorial guide to this please follow this link. 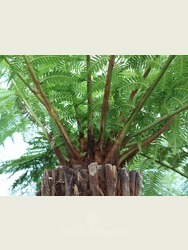 To see more information on general care of Dicksonia antartica please follow this link.